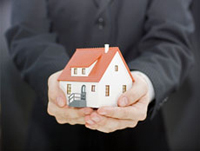 Gualala Property Management, Gualala Property Managers, Gualala, CA Property Management Companies. Gualala (locals say “wa-LA-la”) is a Native American word meaning “where the waters meet.” Indeed, the Gualala River marks the county line dividing Sonoma and Mendocino Counties. The river estuary and mouth are the southern border of the Gualala town area. Gualala is a year-round working community of several hundred residents, and serves the retail needs of the surrounding areas, known as “Mendonoma.” To the south of us lie Fort Ross, Timber Cove, Salt Point, Stewarts Point, Annapolis and The Sea Ranch. North you will find Anchor Bay, Point Arena, Manchester, Irish Beach and Elk. Already “settled” by the original coastal residents, the Pomo Indians, the redwood coast became a booming logging and fishing region in the late 1800′s. The local economy is now based primarily on tourism and visitor support services; building trades; various cottage industries; home-based enterprises utilizing telecommuting technologies; forestry-related jobs; and real estate. Local schools are the largest employer in Mendonoma. There is an exciting art community, which is active with gallery openings, art shows, and a wide variety of cultural events. Law enforcement is provided by the Mendocino and Sonoma County Sheriff’s Departments, and the California Highway Patrol. Fire protection is by local volunteer fire departments and the California Department of Forestry crew. The coast has 9-1-1 service. Routine medical needs and emergency services are available through Redwood Coast Medical Service (RCMS) in Gualala. There is also an ambulance and paramedic crew for the coast. Emergency transport is often done by helicopter to a hospital in Santa Rosa.